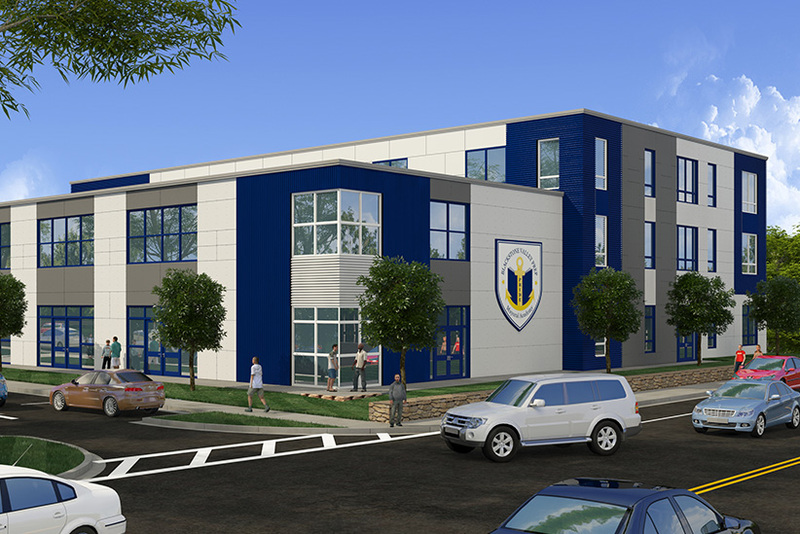 Ai3 Architects, LLC was selected to design a new public charter elementary school located along Broad Street which travels through the center of the Town of Cumberland, Rhode Island. The progressive integrated public charter school needed a new facility to foster its high level /high results teaching philosophy. The compact urban site requires the design to creatively maximize the building square footage, create a statement along Broad Street, while providing the required site amenities. The design incorporates the latest education instructional technology within the classrooms to promote and support project based / research based instruction practices. The building’s interior includes the incorporation of warm, inviting, calming colors with an abundance of natural daylighting and control use of artificial lighting to promote focus, creativity and learning. The project incorporates many sustainable design features and is designed to be Northeast CHPS (Collaborative for High Performance Schools) certified.